Great Basin College is pleased to announce Sisters Food Service will be opening its doors Monday, Feb. 26 in the cafeteria located in the Leonard Center for Student Life on the GBC Elko campus. 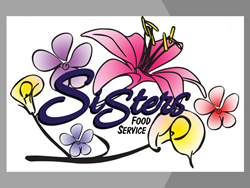 Sisters Food Service will be open Monday – Friday 7:30 a.m. – 2 p.m. The menu includes breakfast burritos, pancakes, select sandwiches, burgers, salads and more. Weekly and daily specials will also be offered and a meal prepping service is also in the works. For updates on specials and menu items, “Like” Sisters Food Service on Facebook by searching @sistersfoodservice73. For catering questions e-mail sistersfoodservice@gmail.com. Sisters Food Service is owned and operated by Jennifer Saxton, and has been in business since July 2017 when it first began serving the communities of Elko and Spring Creek by food truck.